AMES, IA — Three Iowa State University College of Design students joined peers from institutions around the nation recently to address water-related issues from the perspectives of both art and science. 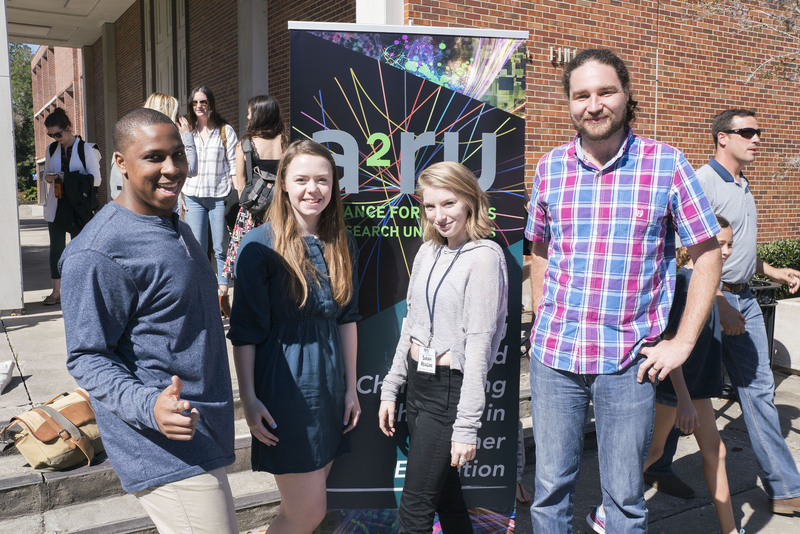 Sarah Reagan, Apple Valley, Minnesota; Lauren Roberts, Olathe, Kansas; and Matt Wilson, Chicago, Illinois, attended the Alliance for the Arts in Research Universities (a2ru) Emerging Creatives Student Summit Feb. 8-11 at the University of Florida. The conference on “Water: New Directions through Arts and Science” brought participants together to explore water-centric “grand challenges” related to access and social justice, environmental degradation, toxicological issues, saltwater incursion into freshwater and sea-level rise, among others — and to propose projects to solve them. During the conference, in addition to attending keynote lectures and panel discussions, students formed teams of three to five members to develop a water-related concept and present their work at the end of the summit. Reagan’s group — which included four other students from the University of Alabama, the University of Florida and Virginia Commonwealth University — has submitted a request to fund the project through a2ru, but it’s unlikely she will be able to continue collaborating on the effort. After graduating with her Bachelor of Fine Arts in May, she will begin a 27-month term as a Peace Corps volunteer teaching gender equality and English in Togo, West Africa. Wilson, a graduate student in sustainable environments, attended the summit “to meet other people, share ideas and grow while all making progress towards a common goal. My favorite part was working in groups. It was very interesting looking at other peoples’ creative processes and seeing how they work through problems,” he said. Wilson received a Bachelor of Fine Arts in integrated studio arts from Iowa State in 2016 and will graduate with his Master of Design in sustainable environments in May. After graduation, he plans to return to Chicago and “work with public projects to aid social and environmental issues” in an interdisciplinary studio or complete a post-graduate fellowship at the University of Chicago. “The way I understand work is that to make progress you have to experiment. You have to share stuff and learn along the way,” he said. The Emerging Creatives Student Summit was one step toward that, he said. Stewart functioned as what the summit termed an “idea Sherpa.” In this role, he “offered guidance during the creative process” when students were in their groups, he said. He also participated in a guest speaker panel. This is the fourth year Iowa State students and faculty advisers have been involved in the a2ru student summit, first held in 2014. In past years, students from both the College of Design and the College of Engineering attended. 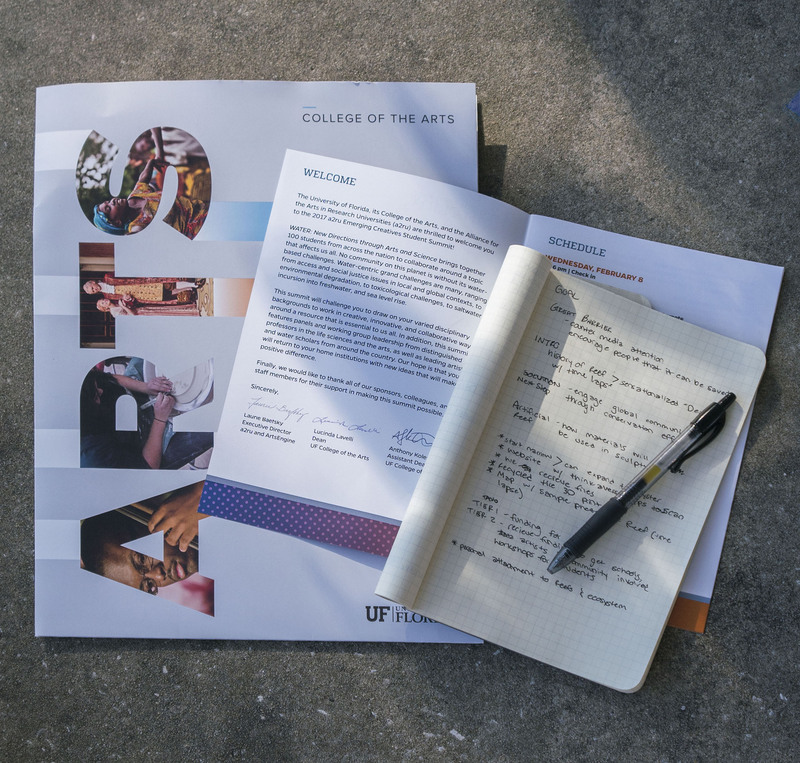 Stewart, Reagan, Roberts and Wilson have proposed a mini-conference on campus to promote participation from multiple colleges at next year’s event.